By buying this product you can collect up to 280 loyalty points. Your cart will total 280 loyalty points that can be converted into a voucher of € 56,00. From now on it is only available as a Drop Through version, making space for Monitors. 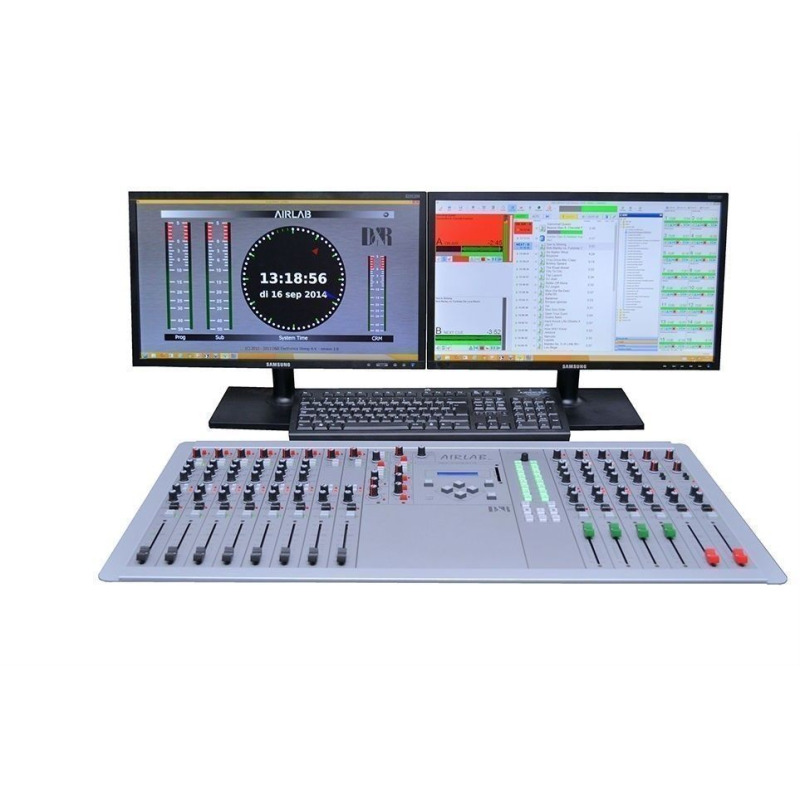 At the same time we have replaced the VU meters by a software meter application. BUT... there are more changes then the cosmetics you see. USB in/output channels has been added to the available module choice. Now you can return your play-out system, with maximum 4 stereo channels. We have also added an optional available USB control section. Direct control of any Play-out system is possible from the front panel of the AIRLAB-DT. We are happy to make any quotation you like. THE AIRLAB-DT FRAME CAN ACCEPT 16 MODULES Triple stereo input (mic/line/line) with or without EQ. 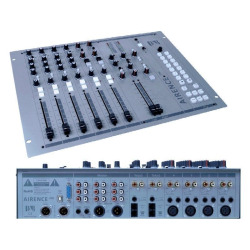 Digital triple input module with Mic/Line/AES in and Main program or SUB out. USB stereo module with Mic/Line/USB. Telco module with excellent built in Hybrid. Control module (taking 2 module positions) based on HID USB protocol. 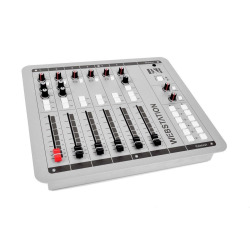 Every module is VCA's driven by smooth running K-ALPS faders. Easy interfacing due to industry standard connectors. Software programmable internal settings with storage on Chip cards. 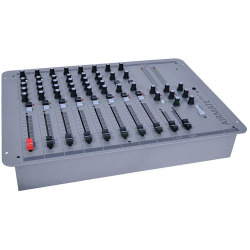 Reliable, digitally controlled analog signal path. 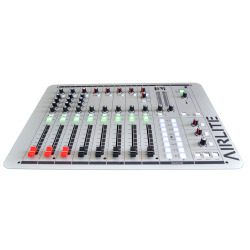 A maximum of 48 channel input sources and 5 stereo main outputs + CRM/Announcer/Guest and Cue. Easy to service, due to modular construction. Over 950 units installed worldwide. DID YOU KNOW THAT... The Airlab has INSERTS on mic inputs for voice processors. The Airlab can have output transformers on the main and Sub outputs. The Airlab has Windows 8 software. The Airlab can have an extra balanced Mono Program Output. The Airlab can have an extra balanced Mono SUB Output. The Airlab can have output transformers on these extra outputs. The Airlab can accept R.I.A.A. pre amps on every triple input module. The Airlab can be ordered with 2x extra VU meters showing the SUB output.